In this extensive guide, you will learn how to generate a CSR code and install an SSL Certificate on SAP web application server. You will also learn a few interesting facts about SAP, and discover the best place to shop for affordable SSL certificates. If you’ve already created the CSR Code and received the SSL Certificate from your CA, skip the CSR generation instructions and jump straight to installation guidelines. Use the links below to navigate between sections. 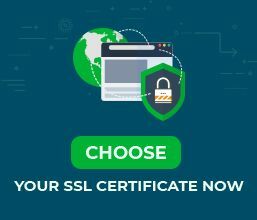 Where to buy the best SSL certificate for SAP? When applying for an SSL Certificate your first step is to generate a CSR (Certificate Signing Request) code and send it to the CA for validation. Along with the CSR code, you will also create the private key which will remain stored on the SAP server. In SAP, you must create a separate CSR for each application server that uses a specific Personal Security Environment (PSE). 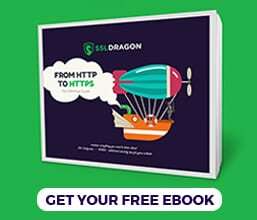 If you employ a system-wide SSL server PSE, then you only need to create just one certificate request. Expand the SSL server PSE node, and for each individual SSL server PSE select the application server. Congrats, you’ve successfully generated your CSR file. You can open it with any text editor such as Notepad. During your SSL order process, you will need to copy the CSR contents into the corresponding box. After the CA delivers the necessary SSL files to your inbox, your first step is to download the ZIP Folder and extract its contents on your desktop. Note: Some SSL providers will give you two intermediate certs for better browser compatibility. You must copy them in separate .txt files and install one at a time during the intermediate certificate configuration. Open these three files with a plain text editor, and copy the contents of each certificate into a separate file with .txt extension. You should have at least three .txt files with your primary, intermediate and root certificates. Click Load local and upload your primary SSL Certificate with the .crt extension. Alternatively, you can paste the contents of your SSL Certificate .txt file into the corresponding box. In the Import Certificate dialog specify the corresponding file name from the file system. Congrats, your SSL certificate should be up and running on your SAP system. After you install an SSL certificate on SAP, some SSL errors or vulnerabilities may still exist. To avoid potential trouble, it’s recommended to run a diagnostic test on your SSL installation. Plenty of SSL tools can instantly generate reports on your SSL Certificate. In this article, we’ve selected the best options. SAP Web Application Server is a product of SAP SE, a European multinational software corporation that builds enterprise software to manage business operations and customer relations. SAP Web Application is based on SAP NetWeaver technology which runs as a web application server for SAP products. The current stable release of SAP Web Application Server is 7.52. Where to buy the best SSL Certificate for SAP Web Application Server?